Friday evening sounded just perfect to be invited to write a review at Fourth and Church. 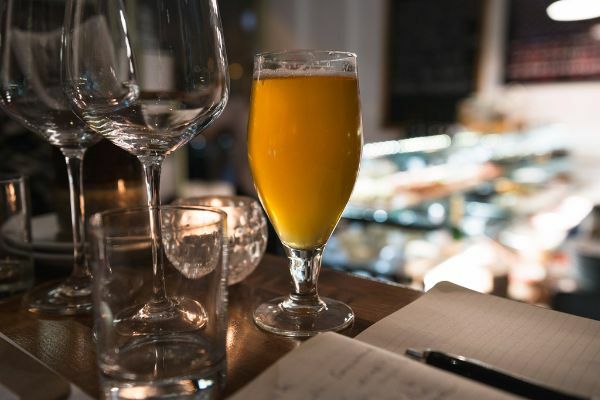 While I waited for my friend to arrive, I was offered a beer… the perfect excuse to tell my senses that work was over for the day and get into a foodie zen mood. The place is already buzzing when I arrive at 7.30pm, and I feel a little nostalgic as there’s a very Spanish feel in the air, like one of those old-school bars where you can just sit, have a friendly chat, order a drink and a pincho comes with it, and another drink followed by another pincho and so on until you lose the track of time. 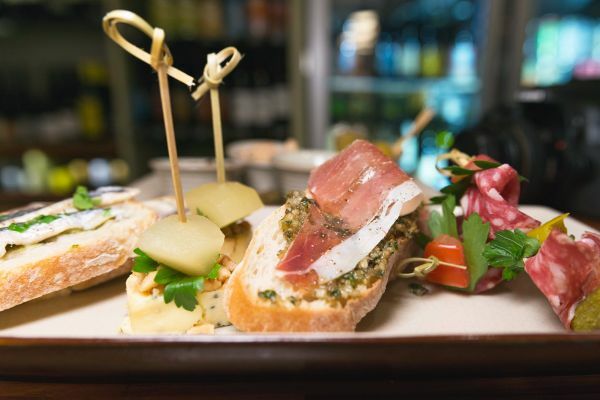 Some people come in simply for a glass of sparkling and a pincho, others have wisely booked a table and there is also a private party going on downstairs in their function room. Paul (one of the owners) comes to ask if we’re ready to order as he prepares a plate with Gordal olives, Catalan almonds, dried sunflower seeds and capers, and another with a selection of their pinchos for the night: Boquerones with salsa verde, Salchichon and tomato pinchos, Serrano ham and Colston Basset Stilton with pickled pear. Delicious! 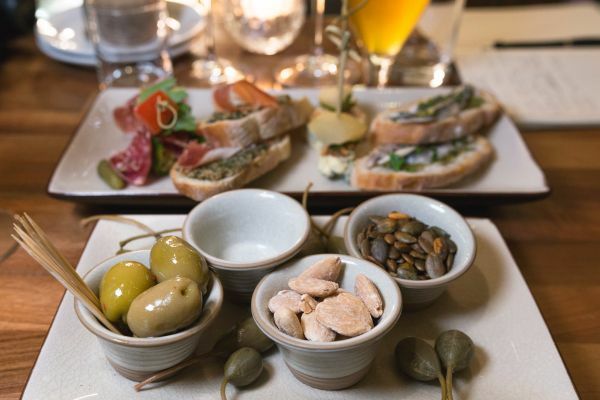 We discuss the satisfaction of simple finger food like this combined with a good glass of wine or a really good beer. I am finishing my APA and moving to a white Rioja by then while my friend Ed ordered a Burning Sky Saison L’ete. Following the pinchos is a selection of their “Little Dishes”, Salmon Gravadlax with dill and crème fraiche which is home cured and sliced to order, it’s incredibly fresh and tastes like no other cured salmon I’ve tried. Bahrat spiced squash and aubergine with coriander and black onion seeds, which has a beautiful smoky flavour, gentle on the spices and goes particularly well with the oaked white Rioja I am drinking. Mackerel escabeche with potatoes and aioli which is an old favourite of mine as grandma used to do escabeche on the weekends. This is fantastic too! The aioli brings the potatoes nicely into the dish and the mackerel is perfectly cured. Fattoush salad with radish, turkish peppers, cucumber, mint and pomegranate dressing… what a delight! 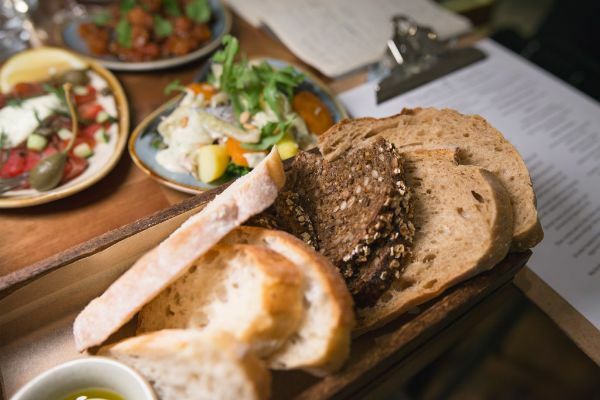 The food is accompanied by four different types of bread with olive oil, and a glass of Viura and Sauvignon Blanc white Rioja suggested by Paul. 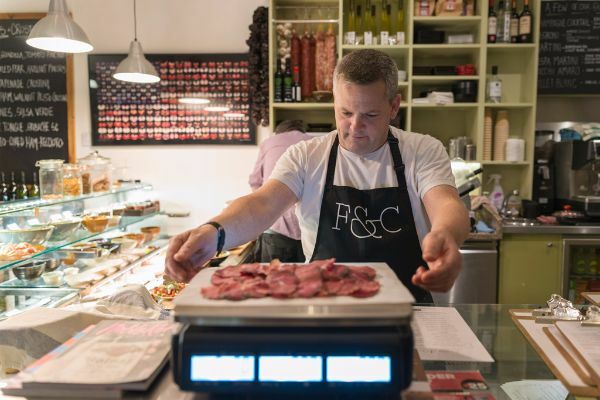 The team at Fourth and Church are very knowledgeable of their products so they are keen to talk to you about their food and wine selection as well as other gastronomic points of view. At this point, people are queuing at the door waiting for a spot to be free. Again, the staff are very accommodating showing them the menu, offering a glass of sparkling or Jerez while they wait and making sure everyone is happy. 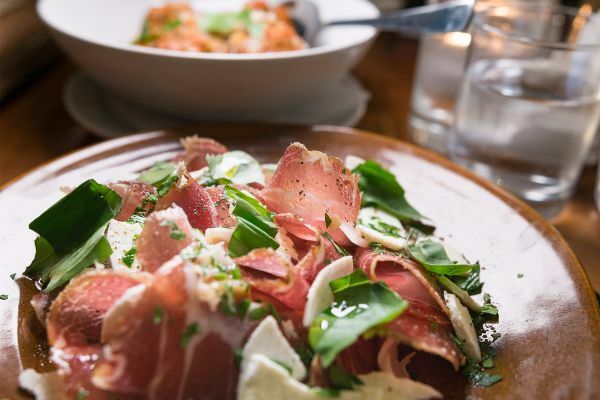 At this point I’m ready for dessert, but in true Spanish fashion, Paul comes over with two more signature dishes, Spicchio del Valpolicella which is cured pork shoulder in thin slices served with parsley, feta and olive oil. The meat is spiced and dry air cured, it’s rich and intense in the spices, gently salty and tender when biting into it. Next up is the veal meatballs in a tomato and basil sauce… amazing! This is such a fun dish and possibly my favourite of the night. Wine is a red 2009 Barbera from the eastern side of the region. Intense fruits and playful in the palate, it goes so well with dishes like these. 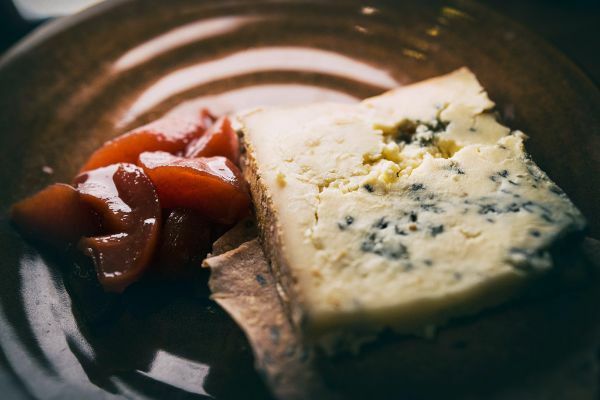 I am pretty full by now when Sam comes and pours a glass of red Cote du Rhone followed by a portion of Colston Bassett Stilton with pickled plums; a perfect match if you’re into blue cheeses and red wines. At this point the restaurant starts to quiet down a bit, there are still a couple of tables left and the party is in full swing downstairs. It feels like home away from home and it’s a shame I live in the complete opposite side of town otherwise this is the place where you would find me every night. 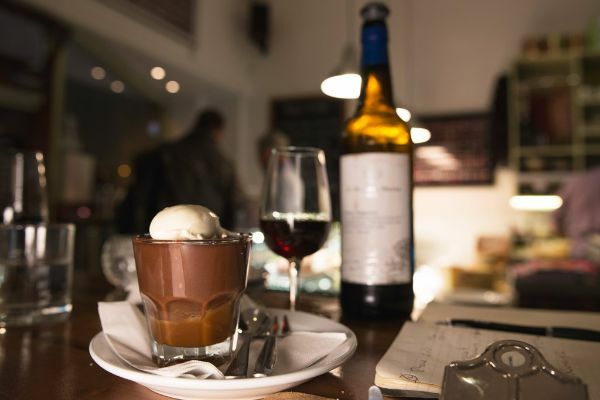 We finish the night with a salted caramel and chocolate pot paired with a glass of Pedro Ximenez. Both equally tasty, elegant and refined in flavours, I dive into the chocolate first and finish with the wine. By a little past eleven the counter light was shut down and we are amazed of how long we’ve been there. Time certainly flies away when you are having a good time. 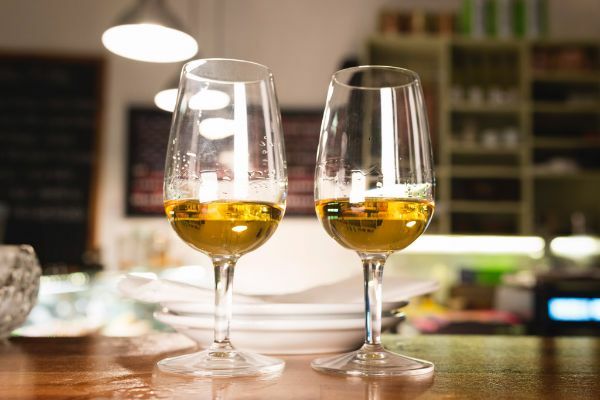 We have just enough space for one more glass before leaving and choose Calvados. We thank Fourth and Church for that as it helped on the journey home.